“All of our offices will be closing on Jan. 25 at noon while we move into our new office at East Fourth and Bridge streets in Oswego,” said Bill Carhart, Oswego County Federal Credit Union CEO. “ During this weekend (1/25/13-1/28/13) there will also be an interruption in the Online Banking Platform. All offices will be open for business as usual on Jan. 28. We look forward to serving you in our new location and thank you for your patience. “Our new office will replace our East Seventh Street location and provide our members with even more reasons to join us. It is about 3,500 square feet—more than twice the size of our East Seventh office—features two drive-through lanes and a drive-through ATM, among other member amenities. In December 2010, OCFCU opened a brand new office in Mexico at 5828 Scenic Ave. (Route 3) where they converted and renovated the village’s former railroad depot into a modern credit union, Carhart said. The building was added to the National Register of Historic Places in 2002. 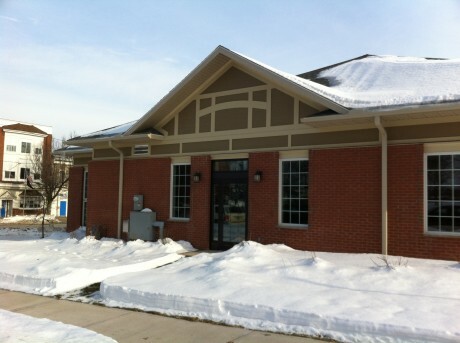 The credit union’s third office is at 300 W. First St. in Oswego. Founded in 1975, OCFCU is a member-owned, not-for-profit financial cooperative association, which serves more than 7,500 members from throughout Oswego County. OCFCU’s charter was revised in early 2007 so that anyone who lives, works, worships, or attends school in Oswego County is eligible to join.